It seems to be a common question among librarians, staff, and even patrons — will eBooks kill the print book? I have been dubious myself. I consider myself the type to embrace tech. Not blindly buying the latest and greatest, but open to new things, change and generally excited about any tech that actually improves life. Recently, we re-did the lighting in my home with Hue light bulbs from Phillips. (They rock!) And I would add, that I would absolutely not describe myself as the nostalgic type. So what is it about the print books? Many claim nostalgia, but there must be something more behind it. 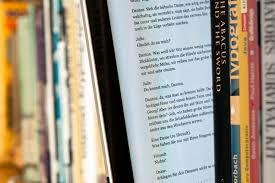 Is it the singular world of the print book? Is the that graphic designers do actually know which font goes with which story? Is that social networking, solitaire, and shoe shopping don’t loom in some hidden layer underneath, ready to distract us with a single swipe? Or is it something fundamental, like the smell of the paper & ink? And what about all those “hybrid readers,” readers who alternate between platforms on the same title — what do those readers mean for the future of collection development for libraries?